Erythrina corallodendrum var. orientalis L.; Erythrina indica Lam. ; Erythrina orientalis (L.) Merr. ; Erythrina parcellii W. Bull; Erythrina variegata var. orientalis (L.) Merr. ; Tetradapa javanorum Osbeck; Erythrina lithosperma Miq. Coral tree (Erythrina variegata L.) is a spreading tropical and subtropical tree legume, renowned as an ornamental for its conspicuous red blossoms. In India, it is one of the most used forage tree legume used as fodder for small ruminants (Devendra, 1989). It is often used as an hedgerow and windbreak. Erythrina variegata is a showy, spreading, deciduous tree legume that can reach a height of 18-25 m. Coral tree is shallow-rooted, the roots exploring only the upper 30 cm of the soil. The crown may range from 6 to 12 m in diameter. The trunk is fluted and the bark is grey or grey-green in colour, and furrowed. Coral tree has many stout, prickly branches. The leaves are compound, trifoliate, borne on 2-28 cm long petioles. The leaflets are green or strikingly variegated light green and yellow, glabrescent, thinly coriaceous, diamond shaped, 4-25 cm long x 5-30 cm broad, the apical one being larger than the 2 others. The inflorescence is an axillary, dense raceme, 10-40 cm long, held on a long petiole (7-25 cm), suited to birds hopping and poking into the flowers. The flowers are clustered in groups of 3 along the rachis. They are bright red in colour, very conspicuous, typically papillonaceous with standards of 5-8 cm long x 2.5-3.5 cm wide. The flowers are upturned, which prevents nectar to be dropped. The fruits are cylindrical pods constricted around the seeds, glabrescent and indehiscent, about 15 cm long. 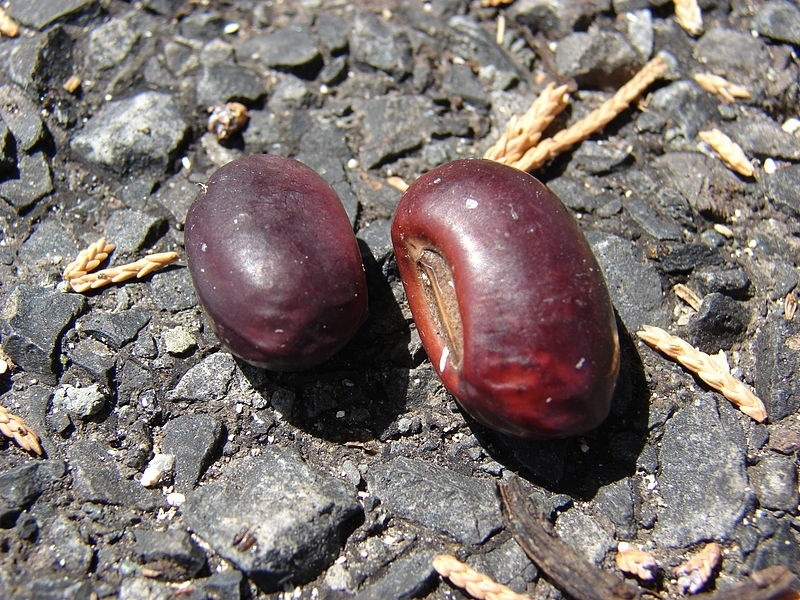 The seeds are ellipsoid to reniform, 0.6-2 cm long x 0.5-1.2 cm broad, reddish brown in colour (Orwa et al., 2009; Peter, 2007). Erythrina variegata is a multipurpose tree, often used in agroforestry systems (Hanelt et al., 2001). It can be lopped for fodder, as its foliage has a relatively high protein content that makes it an excellent feed for most livestock (NFTA, 1993). In Indonesia, leaves and young sprouts of coral tree are eaten as vegetables (Hanelt et al., 2001). Coral trees make good windbreak and shade tree in commercial plantations in hedgerow intercropping systems (Ecocrop, 2017; Orwa et al., 2009; NFTA, 1993). Coral tree provides support and shade to vine crops such as betel, pepper, vanilla, yam (Dioscorea spp.) and grape vines (Ecocrop, 2017). In East Africa and tropical America, coral tree is often grown as a shade tree for cocoa and coffee. However, this practice is not recommended in Java as the tree is leafless for up to a few months per year and cannot shade the plantations (Fern, 2014). After pollarding, the upright branches of about 15 cm in diameter make useful live fenceposts. The wood obtained from annual pollarding is light and soft and can be used to make packing boxes, picture frames, or for pulp production (NFTA, 1993). Coral tree has ethnomedicinal applications: in traditional Chinese and Indian medicine it is used to treat joint pain and parasitic infections (Kumar et al., 2010). Erythrina variegata is native of coastal forests in Southeast Asia and is widespread around the Indian Ocean from East Africa to South-East Asia and North Australia, and in the Pacific Islands to the Marquesas. It was introduced into the Americas where it naturalized so well that it was thought to be native from there by the botanist de Candolle in 1825 (Hanelt et al., 2001; NFTA, 1993). Coral tree is well suited to the humid and semiarid tropics and subtropics. It is widely distributed in coastal lowlands, along seashores and sandy beaches, in low bushland and shrubland areas and on the dry edges of mangrove forests, usually on sandy loams (Groom, 2012). It can be found up to an altitude of 1500 m (NFTA, 1993). 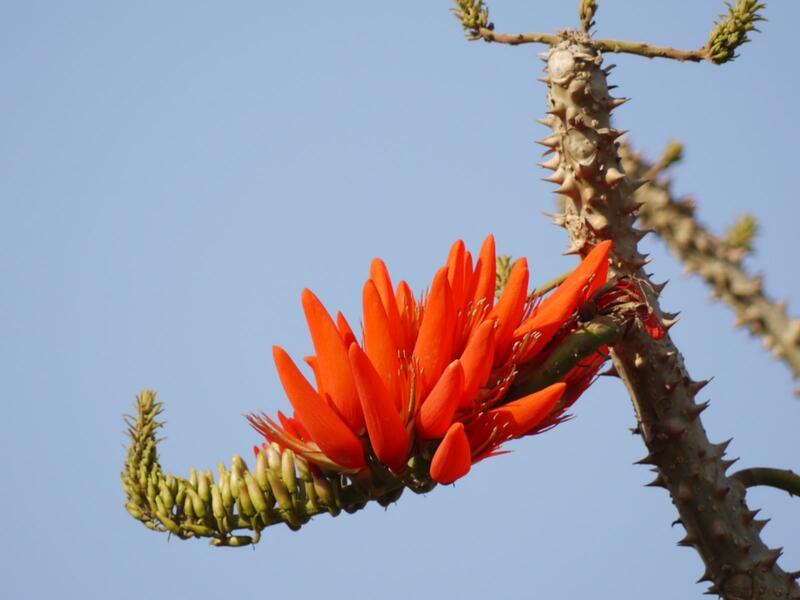 In its native range, Erythrina variegata grows where annual rainfall ranges from 800 mm to 1,500 mm with an average temperature of 20-32°C (Groom, 2012). It does well where rainfall is distributed over a 5-6 month rainy season (NFTA, 1993). It is drought tolerant and it can withstand waterlogging for up to 2 weeks (Groom, 2012; NFTA, 1993). Coral tree prefers deep, well-drained, sandy loam, but tolerates a wide range of soil conditions, from sands to clays of pH 4.5 to 8.0. It is tolerant of fire (NFTA, 1993). A coral tree of average size, pruned three or four times a year, produces from 15 to 50 kg of green fodder annually depending on growing conditions. In coffee plantations, where they benefit from associated cultivation practices, coral trees can produce up to 100 kg of fodder from one annual harvest (NFTA, 1993). Coral trees are successfully propagated from seed or large stem cuttings. When propagated from seeds, these should be previously scarified by soaking in hot water (80°C) for 10 minutes and then in tepid water overnight. They are expected to germinate within 8 to 10 days, and well-watered seedlings should normally be ready for planting after 10 weeks (NFTA, 1993). Planting woody cuttings should be done under dry conditions (at least 24 hours without water before planting) to prevent attack by soil fungi. Cuttings establish quickly, producing axillary shoots in three to four weeks, and then roots. To produce tall trees with straight stems, it is important to retain the terminal bud of branch cuttings (NFTA, 1993). To provide optimal shade, coral trees are propagated from large cuttings (2 to 3 m long and 2 to 5 cm in diameter) at a spacing of 8 x 10 m. The trees are pollarded once a year to a height of 2 to 3 m to produce a spreading crown. The pruned leaves are usually spread in the plantation as mulch. The branches may be used as fuelwood (NFTA, 1993). 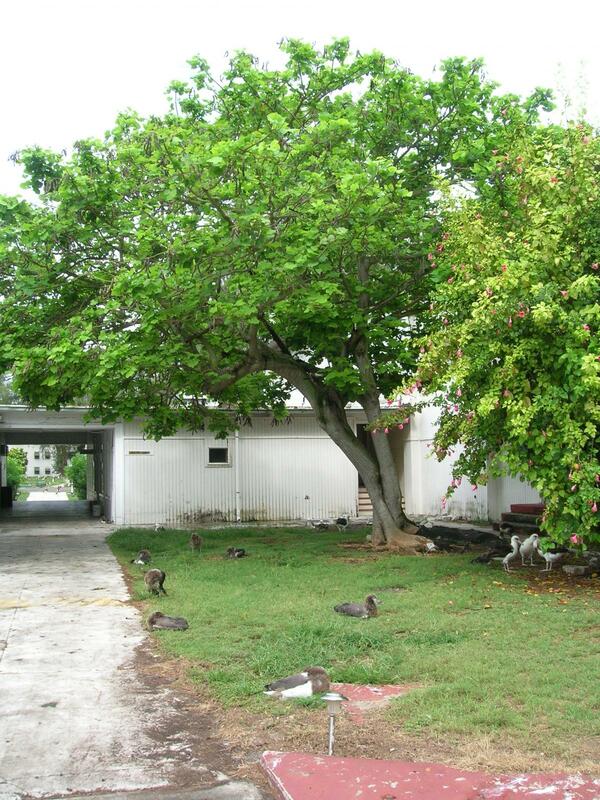 Coral trees provide shade and are a valuable winbreak that prevents wind and water erosion. They help maintaining soil moisture under their canopy, and cohesion of the soil. Coral tree is a fast growing N-fixing legume particularly useful for soil enrichment. It nodulates readily and prolifically in both acid and alkaline soils (NFTA, 1993). Coral tree is a good source of organic matter for green manure. The litterfall quickly decomposes and provides nutrients to plants (from 1 to 3% N). In coffee and cocoa plantations, the foliage resulting from pollarding is chopped and provides mulch to the soil (NFTA, 1993). Erythrina variegata foliage is relatively rich in protein (17-23% DM). All parts of Erythrina variegata contain alkaloids. Leaves and bark contain erythrinine, a poisonous alkaloid that acts upon the nervous system and has a narcotic effect. The leaves, bark and seeds contain saponins (Orwa et al., 2009). However, the leaves of coral tree have no known toxicity to cattle (NFTA, 1993; Ghosal et al., 1972). Erythrina variegata foliage is a good protein source for livestock as the leaves contain high levels of protein. It shows a high intake potential for goats fed tropical forages, and could be a possible alternative protein source to soybean meal or other concentrate feed. Moreover, coral tree foliage remains green and is available during the dry season when feed scarcity is a problem for the farmers. Coral tree has thus great potential for goat feeding (Allard, 2010). However, there is no information for other ruminants such as cattle or sheep (as of 2017). In vivo digestibility of coral tree foliage was assessed in metabolism trials with goats. Digestibility coefficients varied between 62 and 64% for DM, 64 and 78% for OM, 73 and 80% for CP depending on coral tree foliage stage of growth (Baidya et al., 1995; Kibria et al., 1994; Kongmanila et al., 2009). Digestible crude protein and total digestible nutrients contents reached 18 and 61% respectively (Kibria et al., 1994). Coral tree foliage could be used as a protein supplement to improve the nutritive value of maize stover in the diets of mature goats. Compared to a urea-treated maize stover diet, the mixture of maize stover with coral tree leaves (50:50) resulted in higher voluntary feed intake (63 vs. 47 g/kg0.75/d) and diet DM digestibility (67 vs. 51%) (Aregheore et al., 2004b). Addition of molasses to the diet further improved DMI and apparent nutrient digestibility (Aregheore et al., 2004a; Aregheore et al., 2004b). Adult goats were shown to be safely maintained on coral tree leaves as the sole feed for short periods (one month) with a daily consumption of 62 g/kg0.75/d and a stable body weight (Baidya et al., 1995). Coral tree had among the highest intake characteristics (550 g OM/d), protein digestibility (73%) and N retention (24%) when offered to growing goats, compared to fig, jackfruit, jujube, kapok and mango foliages (Kongmanila et al., 2009). Coral tree was one of the preferred forage among these species (Kongmanila et al., 2008). Fattening goats showed satisfying feed efficiency (10 g feed/g gain) and total body weight gain (33 g/d) when they were fed with coral tree leaves in addition to 140 g concentrate (Kibria et al., 1994). Good intake and growth performance were also obtained after replacing soybean meal with protein from coral tree foliage in ruzi grass-based diets (no significant difference between 0 and 60% replacement (Kongmanila et al., 2012). Erythrina variegata foliage is traditionally used to feed rabbits in different tropical countries such as Senegal, Nigeria, Indonesia and Laos (Lebas, 2007; Ryan, 1988). This forage is rich in protein and is well accepted by rabbits. According to different studies it is consumed at levels more or less comparable to those observed with leucaena (Leucaena leucocephala) or Falcataria moluccana (Raharjo et al., 1985; Raharjo, 1987). Coral tree fresh foliage, when used at 25% to 50% of the rabbit daily ration (DM basis) as a supplement to a concentrate, provided better growth and carcass performance than Desmanthus virgatus, Leucaena leucocephala and Artocarpus heterophyllus (Pasupathi et al., 2015; Pasupathi et al., 2016; Pasupathi et al., 2017). However, the energy content of dried coral tree foliage is relatively moderate. 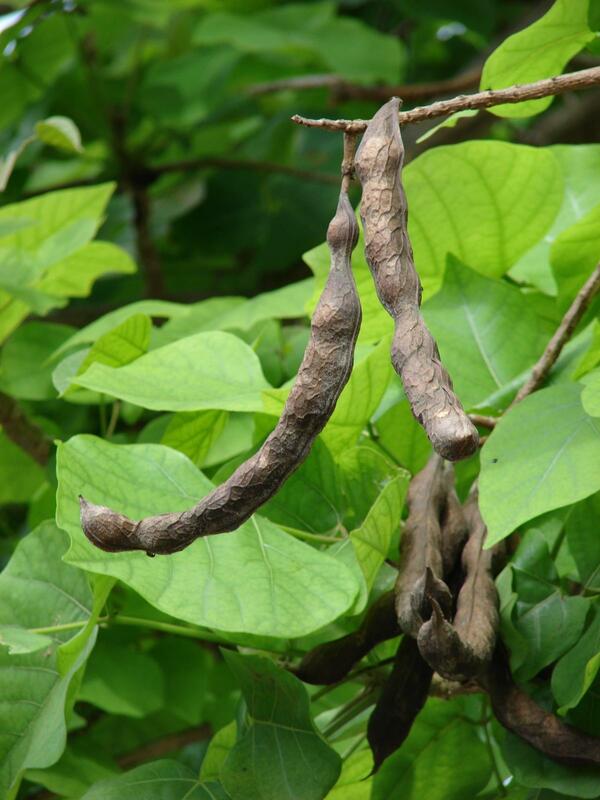 Introduced as a replacement of copra meal (25% of the complete diet), coral tree leaf meal reduced significantly growth rate and, unlike other studied forages, resulted in carcasses without apparent abdominal fat (Seneviratne et al., 2006). An estimate of the digestible energy content of coral tree foliage based on chemical composition is only 7 to 8 MJ DE/kg DM, to be compared to the 13.3 MJ DE/kg DM of copra meal (Lebas, 2016).